While Hollywood Studios seems to be going through more changes than Pascal, Rapunzel’s pet chameleon in Tangled… we are still seeing crowds head into the park in droves! 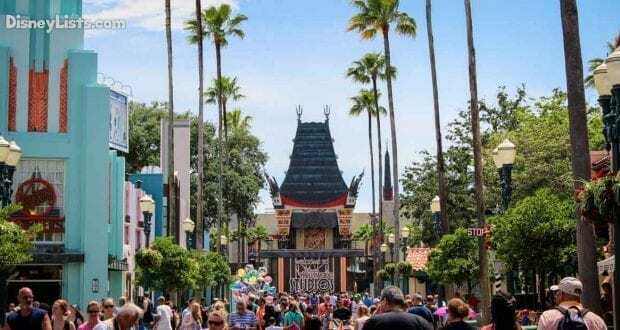 With that being said, if you want to survive the crowds and get the most out of this park full of movies, television, music, and theater – check out these fourteen ways to make it happen! Make dining reservations with your MDE account at 6:00 am EST on the 180-day mark of your Advanced Dining Reservations (ADR) window. Make three FastPass selections at 7 am EST, 60-days in advance of your stay (or 30-days if a non-Disney resort guest). 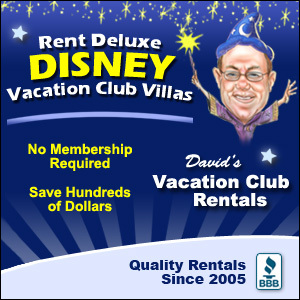 Staying at a Disney Resort is an ideal option when it comes to transportation to and from Hollywood Studios. Not only is bus transportation offered to and from all Disney Resorts, but Epcot Resort guests also have the option to take a boat or use the 20 to 30-minute stretch walking path. 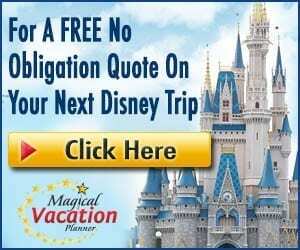 If you are not a Disney Resort guest, however, have no fear! While you’ll have to pay to park (if not a Disney resort guest or Annual Passholder), the parking lot itself isn’t impossibly huge and they have trams available to drive you into the park from your car. There have been several times, even as resort guests, that we decide to drive into Hollywood Studios for the day. Sometimes it’s just easier with your own vehicle to avoid transportation crowds! One of the best ways to get a jump on the crowds at Hollywood Studios is to have breakfast in the park. The table service restaurant, Hollywood and Vine, has a breakfast buffet with Disney Junior characters such as Doc McStuffins, Sofia the First, Jake (Never Land Pirates), and Handy Manny. If the park officially opens at 9:00 am, we’d recommend an 8:00 am breakfast reservation. Keep in mind you’ll want to do this 180-days in advance to secure a reservation. If there are Extra Magic Hours in the morning, we suggest forgoing breakfast and just plan to hit Starbucks later as Disney Resort guests will be let in an hour early (8:00 am in this case) which would mean you’d actually be behind the crowds if spending time having breakfast. If the park opens at 9:00 am, you’ll have plenty of time to eat during your 8:00 am reservation and wrap up in time to be out in the park well before the gates open at 9:00 am. *If at all possible, we recommend booking this breakfast reservation as a Fantasmic Dining Package! The cost of breakfast is usually around $39 for adults and $24 for children (plus tax and gratuity). Later in the day, you’ll be thankful as this package provides you with reserved seating for Fantastmic! Since you are already in the park before it opens and ready to go after breakfast, we’d recommend heading to Toy Story Land first, specifically Slinky Dog Dash. Hopefully, it will be close to 8:45 or 8:50 am at this point and you’ll be able to get in the line for Slinky Dog Dash before the park gates open for the day! If you get off the ride and the line isn’t too long just yet, hop on it again as wait times on a crowded day will be very long by late morning. Or quickly head over to Alien Swirling Saucers and/or Toy Story Mania and ride that before the wait gets too long. Hopefully, you can get at least two Toy Story Land attractions done before the first Toy Story Land FastPass. When making your initial three FastPass selection during your pre-planning, you’ll notice Hollywood Studios has a FastPass (FP) Tier System. Some attractions are grouped into Tier One while other attractions are grouped into Tier Two. You can only pre-select one attraction from Tier One and two attractions from Tier Two. Tier One attractions at Hollywood Studios include Toy Story Mania, Slinky Dog Dash, and Alien Swirling Saucers. 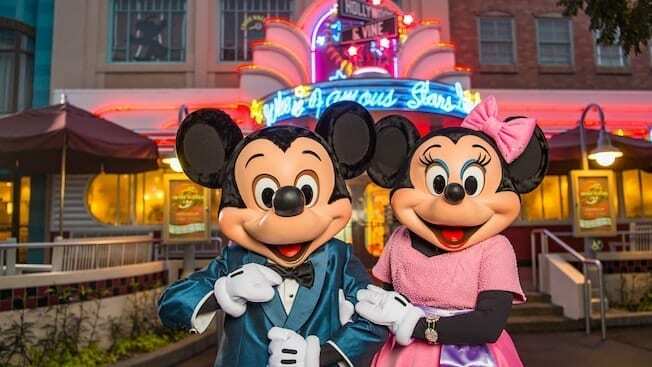 Tier Two attractions include Rock ‘N’ Roller Coaster, Fantasmic, Beauty and the Beast Live on Stage, Tower of Terror, Star Tours, Frozen Sing-Along, Muppet Vision 3D, Indiana Jones, Disney Junior, and Voyage of the Little Mermaid. Since you have already arrived early enough to jump on Toy Story land attractions in our example above, we’d recommend any of the Toy Story Land attractions as your Tier One selection–the one you want to ride at least twice! Our Tier Two attraction recommendations are Tower of Terror, Rock ‘N’ Roller Coaster, or Star Tours as the other FP selections are usually easier to pick up later in the day. Now that you know which FP to snag, your ideal FP schedule for the morning in this situation would be a 9:30-10:30 am Toy Story Mania, 10:30am-11:30 Rock ‘N’ Roller Coaster, and 11:30 am-12:30 pm Tower of Terror. You’ve already knocked out two Toy Story Land attractions at 9:00 am, so this will allow you to ride the final Toy Story Land attraction with a FastPass. If you have time before your next FastPass, its the perfect time to enjoy other attractions, such as heading Star Tours, Muppet Vision 3D, or for Fort the Frist Time in Forever: A Frozen Sing-Along, before heading over to your Rock ‘N Roller Coaster FP. Continuing with the example above, you’ve just gotten off Tower of Terror and are finished with your three initial FP. Have a seat to catch your breath after plummeting down that creepy elevator! Pull out your phone and go to your My Disney Experience app to select a fourth FP. At this point, remember what your must-do list includes and see what FP are still available. Our recommendation, in this case, would be to snag an early afternoon FastPass for one of the shows: Voyage of the Little Mermaid, Disney Junior Live on Stage, Indian Jones Stunt Spectacular, or Beauty and the Beast Live on Stage. By the time lunch rolls around, the crowds are thick at Hollywood Studios! Get on your My Disney Experience app and use the Mobile Ordering option to order lunch right from your phone. You could even do this while in between rides earlier in the morning! Mobile Ordering is available in six quick-service locations at Hollywood Studios, including Woody’s Lunch Box, ABC Commissary, Backlot Express, Catalina Eddie’s, Fairfax Fare, PizzeRizzo, and Rosie’s All-American Café. Let’s say you’ve ordered food at Backlot Express because it’s close to Star Tours. Once you arrive at Backlot Express, just say you’ve arrived on your app. They’ll prepare your food within minutes and you don’t have to worry about fighting the ordering crowds. There is even a special Mobile Ordering pick-up window! After lunch, try not to focus on surviving the crowds, but rather checking special shows off your list. Go to the show you have selected for the early afternoon FastPass. Once you are seated and getting ready for the show to start, get on your My Disney Experience app and select a 5th FastPass for whatever may be left. After the show is over, this is a good time to enjoy the other shows Hollywood Studios has to offer with or without a FastPass! With time to sit back and relax during these shows, we don’t necessarily recommend a mid-day break at Hollywood Studios like we would at the other parks. The pace in the afternoon tends to be much slower with the show options available. If any of the shows above don’t appeal to you (such as Disney Junior Live on Stage for kids), these are perfect time slots to do character meet and greets or even head into Star Wars Launch Bay to see Kylo Ren, Chewbacca, or BB-8! If you are a huge Star Wars Fan, be sure to schedule in time for the March of the First Order that leads up to the stage show, Star Wars: A Galaxy Far, Far Way. Walt Disney Presents is another good one to fill time in a meaningful way as there is no wait for this attraction. 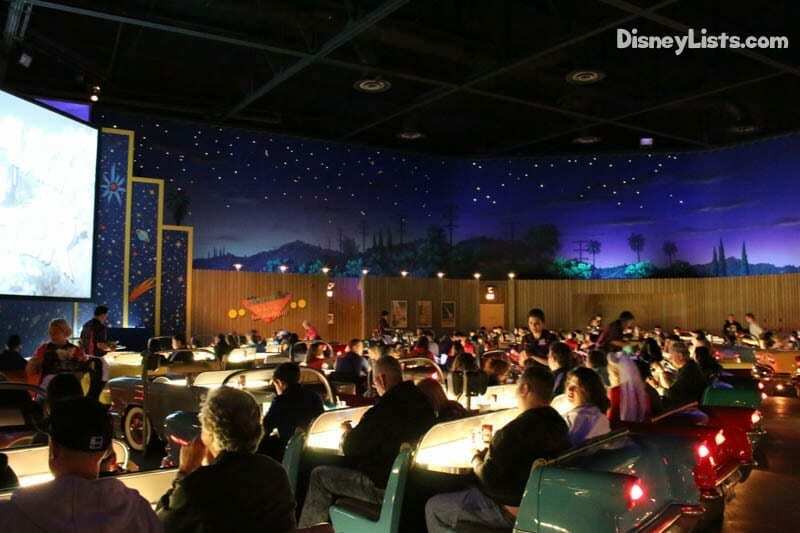 Before you embrace all the exciting nighttime experiences available at Hollywood Studios, we recommend dinner at one of their awesome themed table service restaurants… especially Sci-Fi Dine-In Theater or 50’s Prime Time Café! Both offer incredible food and a fun atmosphere. A 5:00pm reservation is your best option to get you in and out before the nighttime excitement begins. After dinner, you’ll have plenty of time to catch any attractions you haven’t been on yet. Be sure to also stroll through Toy Story Land in the dark! It’s a completely different land at night. 12 – On to Fantasmic! Now, finally, the perfect way to wrap up a day at Hollywood Studios… Fantasmic! This is a nighttime, outdoor extravagant musical where the forces of good and evil battle it out in Mickey’s dream. A huge must-do on our list! The best part is you scheduled a Fantasmic Dining Package for breakfast remember?! This means while all the crowds are rushing from the projection show and fireworks to get in line for Fantasmic… you can mosey along because you have reserved seating. Fantasmic in this example starts at 9:00 pm, leaving you time to grab a drink or treat between the fireworks and arriving early to the show. Since you’ve opted for Fantasmic, you may not get to the front of the iconic Grauman’s Chinese Theatre before Hollywood Studios’ projection show, Disney Movie Magic which in this example takes place at 9:40 pm. This is a cool, 10-minute projection show that will let you relive your favorite moments in cinema… truly a “Hollywood Studios feel” to it! But if you leave as soon as Fantasmic is done, you should make it over to the second nighttime show at Hollywood Studios. The “force” is about to take over with Star Wars: A Galactic Spectacular which in this case begins at 10:00 pm. Watch the sky above the Chinese Theatre light up and Star Wars projections and music make even the non-Star Wars fans have goosebumps! This is a 14-minute show and well worth staying put for the entire time. Since the park closes after Fantasmic and Star Wars: A Galactic Spectacular, there is a HUGE… and we mean HUGE… a crowds of people all exiting the park at the same time. Transportation jams up and it can be tricky to navigate through the sea of people. We recommend letting the rush go! Remain in your seat for a short while as there is no point in standing in line to exit. On your way out of the park swing by some of the gift shops! Do a little shopping as gift shops will keep their doors open a short while past park closing. By the time you make it out to the bus, boat, or car… hopefully, the crowds will have lessened and you don’t have to feel scrunched in. You did it! You survived a crowded Hollywood Studios day and handled it like a pro! Keep in mind as you plan your Hollywood Studios day, the times mentioned above likely won’t be the exact same for the day you are visiting… as the schedule of park hours and show times changes daily. Be sure to review the Times Guide before planning for your Hollywood Studios day! Editors Note: Cindy E. Nykamp also contributed to this article.